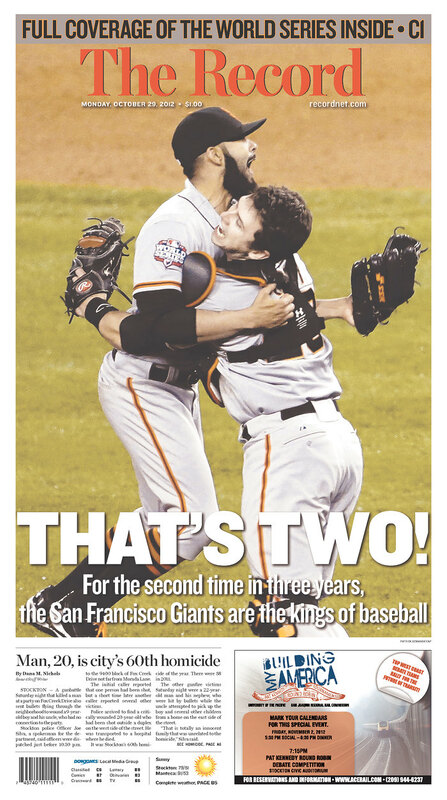 I can’t tell you how excited I am that the San Francisco Giants won their third title in the last five years! This year’s series was amazing from beginning to the very last out. And that was stressful to watch! 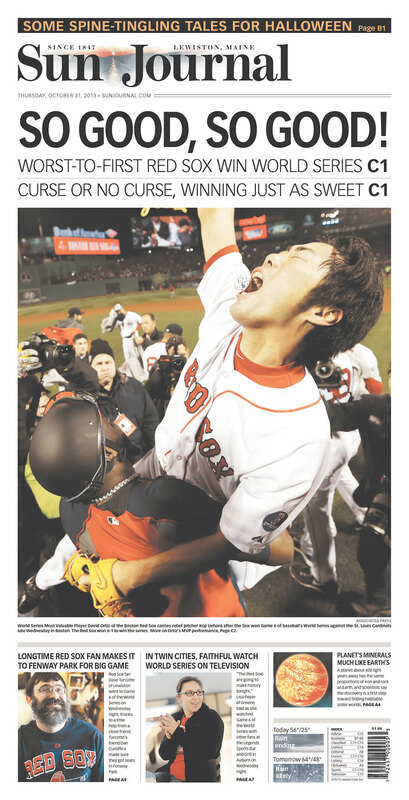 I actually hid under my pillow for two innings and just listened to the game – when it was still tied. 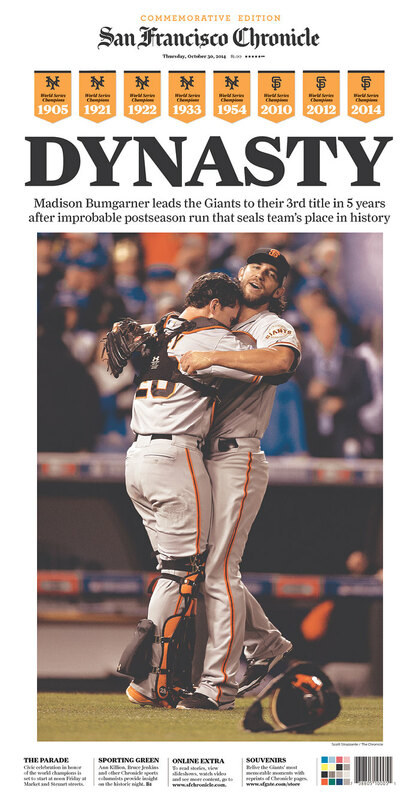 Be more like MadBum. Unlike rookie pitcher Hunter Strickland who lost his cool during Game 2, veteran Madison Bumgarner is very laid-back. And focused. During the latter part of the series, cameras would show him alone, I’m assuming, focusing on the task at hand. No one talked to him, and why should they? Do you want to be the one who distracts him? He knows what he’s supposed to do – and he mentally prepared for it. Only after he was handed the MVP award did he say he was “tired.” Before that, he only spoke about his significance in the game during interviews. He said he’d be ready if called to pitch, and that anything can happen during the World Series, and you need to be ready. I fully agree, you only have a few chances to get it right. And that’s it. Win – or lose the championship. Always be prepared, and on your game, pun fully intended. It seems that that soft-spoken really won out this year. 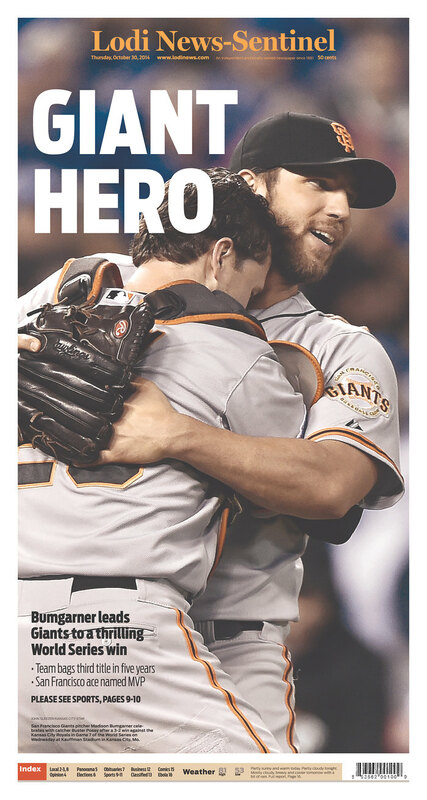 Aside from an amazing series, MadBum, as he is known, has become an instant media darling. ‘Where did this guy come from?’ seems to be the big question from everyone. I really can’t tell you if I paid attention to him that much over the past four years. He was hidden behind Tim Lincecum’s spotlight. But maybe sometimes injuries are nature’s little push to get a great leader in place. Colin Kaepernick anyone? Time rolls on, and someone is always there to take over. When it’s your time, you should be ready. And willing. And respect what happens when decisions are made. Sometimes people above you know what they are doing – and can foresee a positive outcome. Their experience is guiding them about you. Also, and it’s a cliché, but true – it’s not over until it’s over. So do the best you can until ‘the end.’ Then you can be tired. 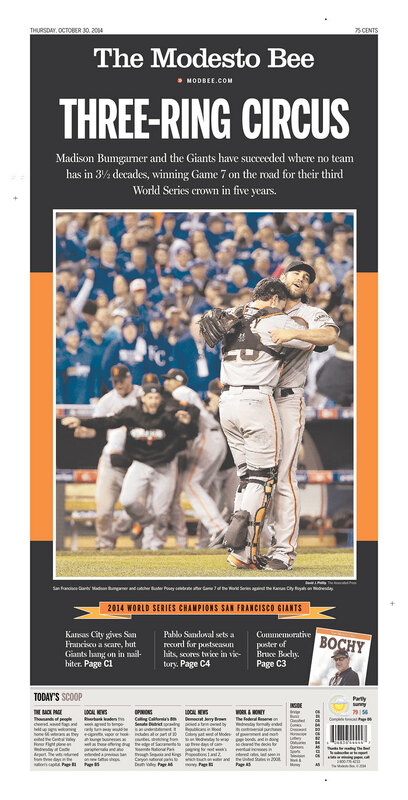 An estimated 23.5 million people watched the San Francisco Giants’ 3-2 win over the Kansas City Royals in Game 7, enabling the matchup to escape the distinction of least-watched World Series. The Nielsen company says more people watched Wednesday night’s contest than any series game since the 2011 Game 7 between St. Louis and Texas. With both starters chased early, this became a matchup of bullpens. 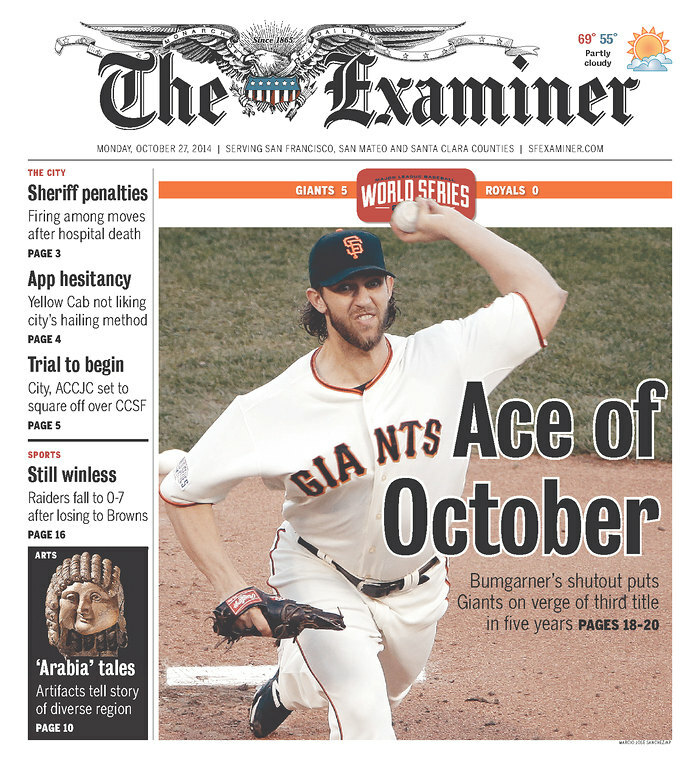 And no one stood taller than the 6-foot-5 Bumgarner, who added to his postseason legacy with another dominant performance. Madison Bumgarner tossed the first World Series shutout in 11 years, allowing four hits while striking out eight in the San Francisco Giants’ 5-0 win over Kansas City. Bumgarner is the first pitcher to throw a shutout in a World Series game since Florida’s Josh Beckett beat the Yankees to win the 2003 championship. Brandon Crawford had three RBIs and Juan Perez laced a two-run double as the Giants grabbed a three-games-to-two lead in the series. The World Series television rating on Fox was up 17% over last year but was the lowest for a matchup that went at least six games. 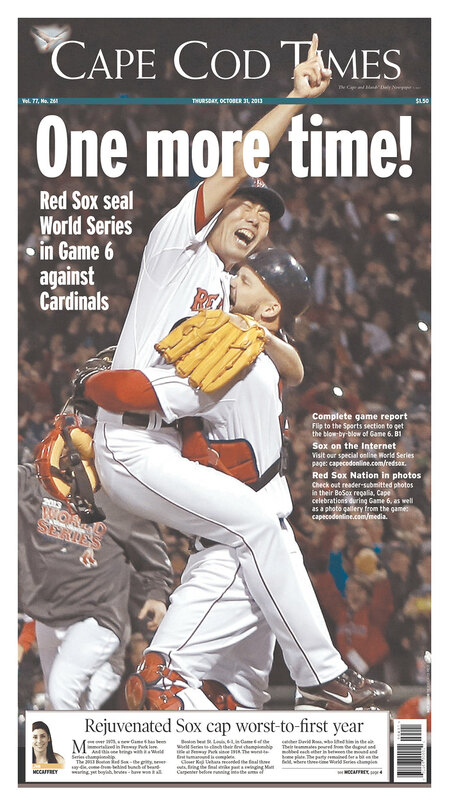 Boston’s 4-2 Series win over St. Louis averaged an 8.9 rating, 15 share and 14.9 million viewers, Nielsen Media Research said Thursday. San Francisco’s four-game sweep of Detroit last year averaged a record-low 7.6/12 and was seen by 12.7 million viewers. That was among only three Series that had lower ratings than this year’s, joined by 8.4 ratings for Philadelphia’s five-game win over Tampa Bay in 2008 and San Francisco’s five-game victory over Texas in 2010. Buster Posey glanced toward Tim Lincecum’s locker and pondered what the Giants’ clubhouse might look like without The Freak or fellow starter Barry Zito, and only because the catcher got asked about it last week. Posey says he hasn’t really put much thought into that. He might not have to for long, either. Giants general manager Brian Sabean plans to do all he can — and soon — to keep Lincecum around. The club already took care of its first order of business: Signing right fielder Hunter Pence to a $90 million, five-year contract. He played every game this season. 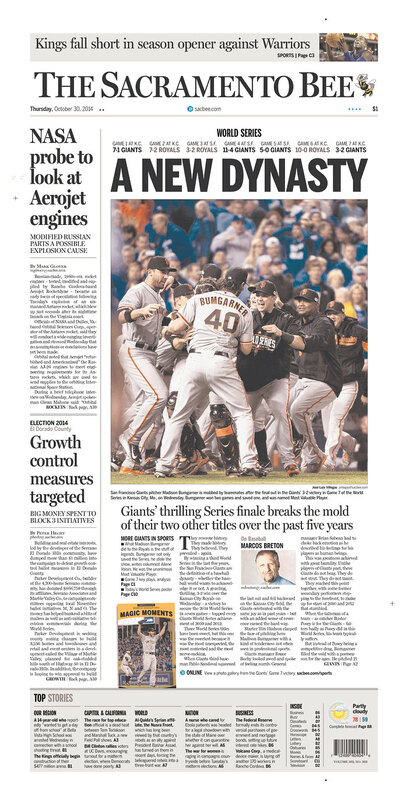 The Giants are World Series champions for the second time in three years. San Francisco closed out a clean sweep of the American League champion Tigers last night with a 4-3, 10-inning victory in Detroit. 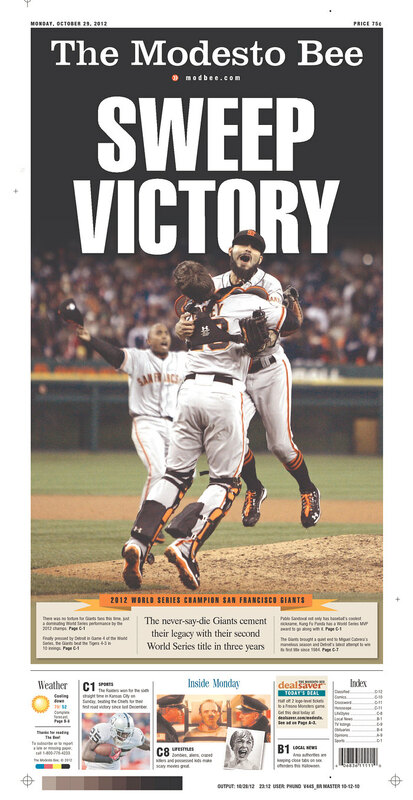 Marco Scutaro’s two-out RBI single in the top of the 10th plated the go-ahead run and the Giants held on for their seventh-straight postseason win. 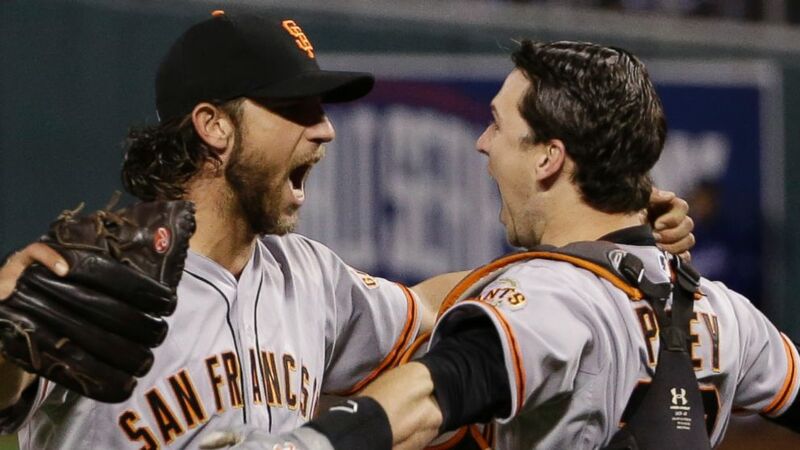 After throwing back-to-back shutouts, the Giants got another clutch pitching performance. Matt Cain limited Detroit to three runs over seven innings. Three relievers delivered three hitless innings of relief. Closer Sergio Romo closed out the victory by striking out the side in the ninth for his third series save. Giants’ pitchers posted a 1.46 earned run average in four meetings with the Tigers. That is the 12th-lowest ERA in World Series history. 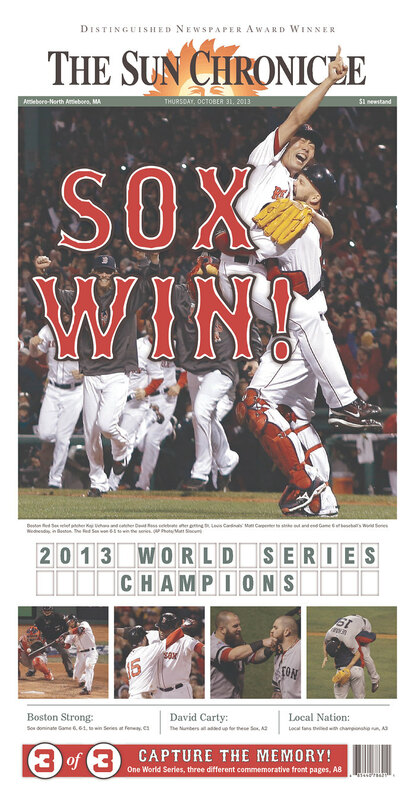 Pablo Sandoval, who hit three home runs in Game 1, was named World Series MVP. Sandoval batted .500 for the series, and drove in four runs. Sandoval had 8 hits in 16 at-bats in the 108th Fall Classic. 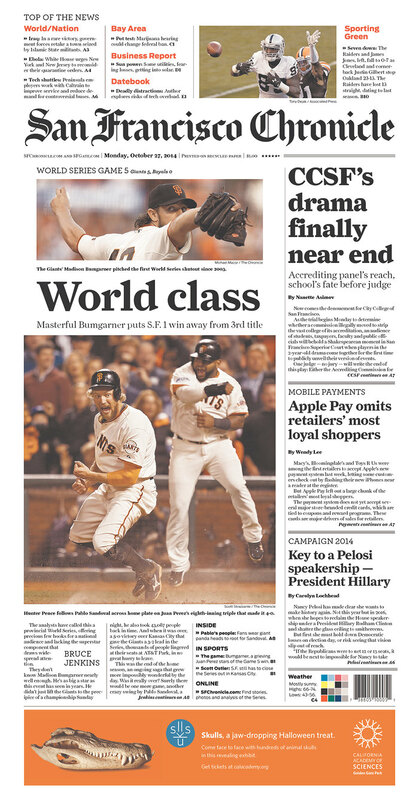 The San Francisco Giants’ sweep of the Detroit Tigers set a record low for the World Series’ television ratings. Meanwhile, the four games on Fox averaged a 7.6 rating and 12 share, Nielsen Media Research said Monday. The previous low was an 8.4 for the 2008 Phillies-Rays and 2010 Giants-Rangers series, which each went five games. Last year’s Cardinals-Rangers World Series went the full seven games and built momentum to average a 10.0/16. The Giants’ 2-0 win in Game 3 on Saturday earned a 6.1/11, and their 4-3, 10-inning victory in the clincher Sunday drew an 8.9/14.